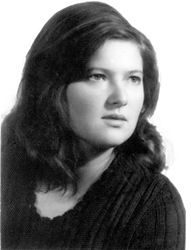 The Krystyna Lesiak Endowment Fund for the Professional Development of Graduate and Post-Graduate Students of Polish Heritage. Application criteria and forms are available here. Krystyna Lesiak-Watanabe was an accomplished scientist but also a great and kind person who always was ready to help others. Every new scientist who came to the NIH area, where she spent most of her research life could count on her help and generosity. She is truly missed by her friends, co-workers and many scientists who had the luck to know her. Krystyna’s husband, Dr. Kyoichi Watanabe wishes to extend this generosity into the future by establishing a scholarship fund in Krystyna’s name to help the young promising scientists of Polish origin to come to the USA and present their research work. See more here.